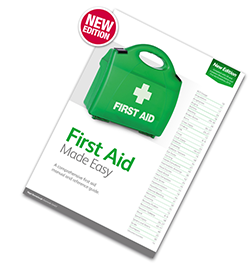 First Aid Training Wirral – We provide high-quality first aid training for workplaces, schools, colleges, sports clubs, and community groups. You will develop or maintain the skills required to administer first aid through a variety of scenario tasks and activities. We offer fully accredited approved First Aid Training courses, in accordance with the Health and Safety (First Aid) Regulations 1981. If we don’t already offer a course that meets your requirements we are more than happy to design a course that does. Our team of instructors and assessors have a wealth of knowledge and experience in designing and delivering courses and certification. As a regulated first aid training qualification, employers can book this course for their employees and be rest assured that they have fulfilled their legal responsibilities for providing quality first aid training, without having to undertake any lengthy due diligence checks introduced in the recent HSE changes. First aid training Wirral – For more information on our first aid courses offered by Training Solutions North West and how we can help you find the right training courses for your business please email us or alternatively, call us on 0151 515 0416 and speak with one of our training Consultants.